Have any questions about our service and products? We’re here to help. If you have any questions that are not listed below, please contact us at lifesentropycosmetics@gmail.com or fill out the form. Our entire line of products is vegan friendly with absolutely no exceptions. This means no carmine, beeswax, lanolin, silk, and more. Feel free to check the individual ingredient lists for more product details. 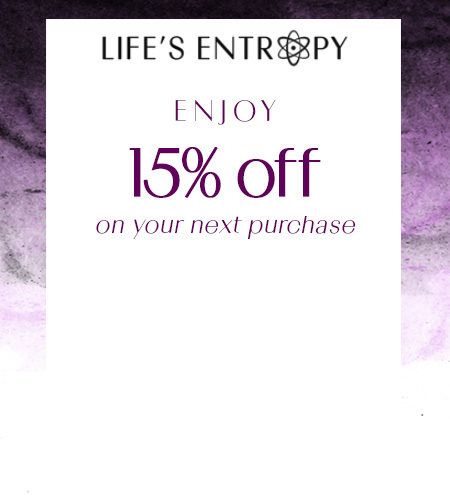 For further questions, please email lifesentropycosmetics@gmail.com. All of our products are gluten free. We do not use any wheat products and the tocopherol (Vitamin E) is vegetable derived. Yes! The only animals we test on are ourselves. All of our finished products, individual ingredients, and suppliers are animal cruelty free. Most of our ingredients have natural origins, however, no cosmetic product is natural according to the FDA. The FDA mandates that all cosmetic supplies must be synthetically purified of impurities (e.g. natural lead levels in minerals) to ensure proper safety. Flat rate shipping is $4 for all US orders and $8.50 for all international orders. How long will it take to receive my order (TAT)? All orders ship out in 3-7 business days. Domestic shipping within the U.S. usually takes 3-10 business days. International shipping may vary between 2-6 weeks. Yes, our website and checkout is secured by RapidSSL and all customer information is kept private and will not be distributed or sold to any third parties. All payment is made on the official paypal website which is secure. For extra security, please choose a different account password than your other personal accounts (including paypal and email). If you are unhappy with your purchase for any reason, we will gladly accept returns and exchanges within 30 days of your delivery date for any unused and unopened products. Shipping and handling costs are non-refundable unless the product was defective. Please contact us at contact@lifesentropy.com for further details. If your package was lost, stolen, or damaged packages by USPS or your local postal service, please contact contact@lifesentropy.com and we will handle it promptly. All the products are created and shipped from New York. Do you offer pro discounts or send press samples to makeup artists or bloggers? We currently do not since we are a small business.